Get off to the right start by building a set of blueprints for your project before you start. RustyBrick can design wireframes for your web site or application. In many cases, starting with a web site wireframe can lead to a more successful web site or enterprise application outcome. 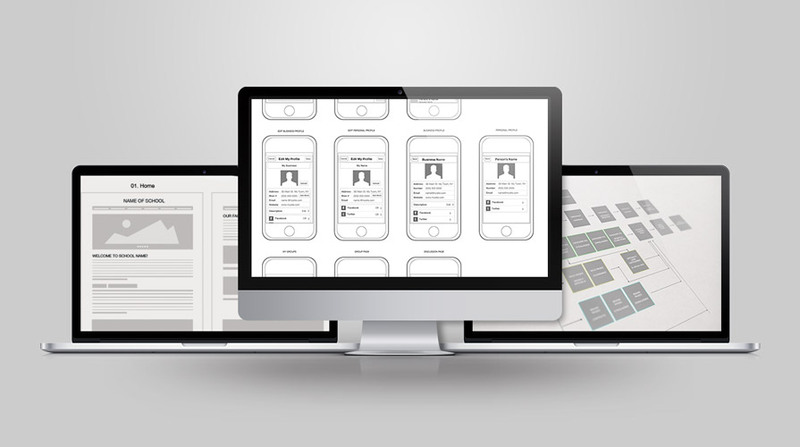 The wireframe acts as the blueprint for the web site, mobile app, custom web software or other application you will be building with your development company. It is a visual guide that represents the skeletal framework for the site or application. The wireframe gives guidance and instruction to the development team on the overall outcome of the project and provides the map for the steps that need to be taken to carry the project from design to implementation. Wireframes focus on defining the range of functions, hierarchy of information, and rules for different scenarios. RustyBrick has designed many wireframes for both web sites, mobile apps, software applications and more. Learn how we can help you create the blueprint for your idea.